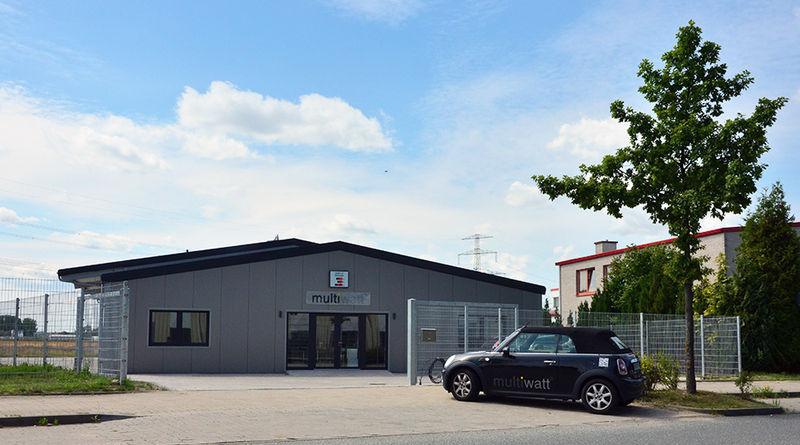 The multiwatt® Energiesysteme GmbH was founded in 2011 by Marcus Fahrenkrug. The company, which is based in Rostock-Bentwisch, has several employees. multiwatt® operates international, is service-oriented and customer-oriented. In march 2015 multiwatt moved to the industrial park in Bentwisch. There office, warehouse and research are united in one big hall. The new hall is as well demonstration plant for sophisticated energy concepts: heat accumulator and solarthermal, heat pump and photovoltaic as well as conventional connections and boilers. The planning of energy concepts is very complex and thanks to the new hall in Bentwisch multiwatt is able to explain and even demonstrate the energy concepts to their clients. Another reason for location of the industrial park in Bentwisch ist that many partner are just in the neighbourhood. The field of activity divides into 3 core business areas: photovoltaic wholesale, trade mission, planning & building services. 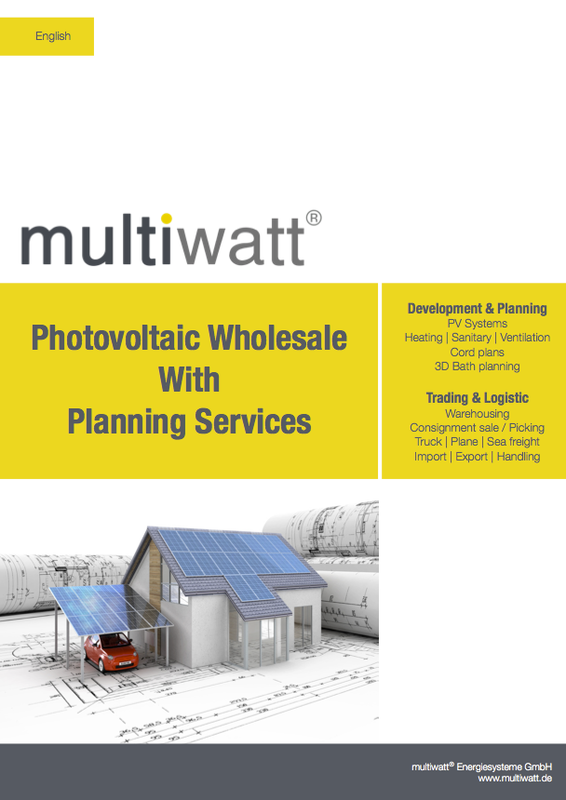 Photovoltaic Wholesale As a link between manufacturers in the solar industry and the solar installer we offer an perfect matched product portfolio adjustet to current market changes. Further informations about Photovoltaic Wholesale. Trade Mission We assume the trade mission for specific companies for the North German area. Further informations about trade mission. Planning & Building Services Based on our competences in planning and building services we take care of your planning for your construction projects. Whether the cord plan, waste water plan and water plan. Further informations for Planning & Building Services. Download the current Imageflyer from June 2015 to learn in detail about the range of services!